The team at IRE monitors our markets daily. Our team knows the markets we serve better than other commercial real estate firms. 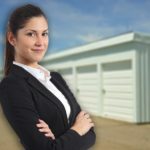 As in any industry, what you know about the self storage marketplace has a direct effect on your success. Our market research is vitally important to any self storage investment. This market knowledge is gained by our constant research of the marketplace. We are in contact with a majority of owners of self storage facilities at least twice per year. In addition, we track all properties that are actively being marketed, we verify and catalog all sales, we call municipal officials quarterly to find any proposed new construction, we monitor the internet for any sale, lease or construction news, and we conduct rent surveys regularly as well as market summary analysis to determine demand and supply levels.